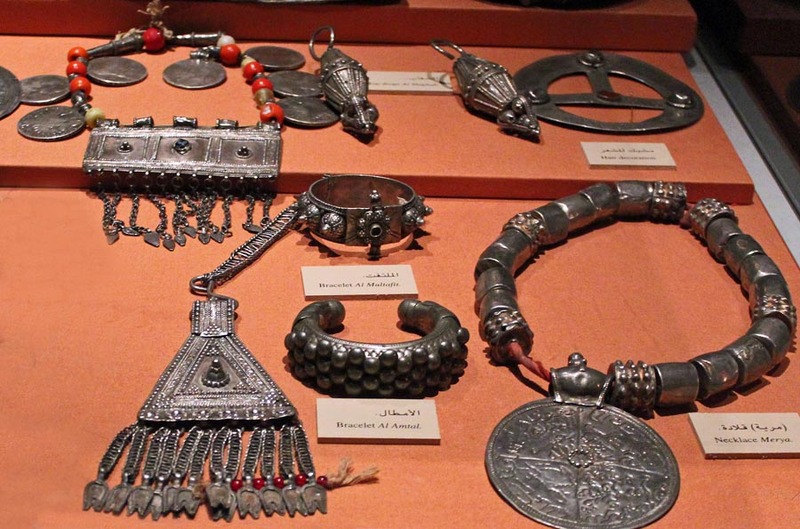 Ancient Middle Eastern Jewellery in the Dubai Museum. Intricate and heavy. 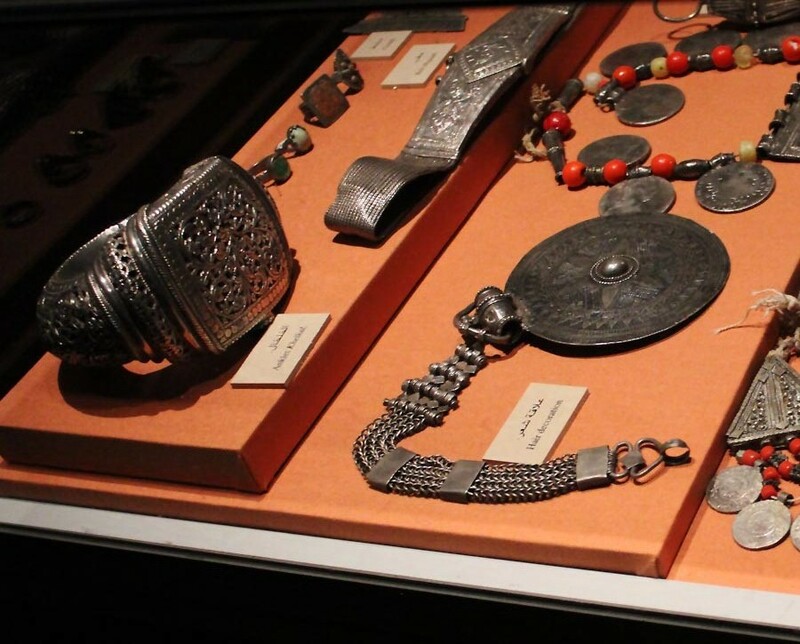 The first photograph is of heavy bracelets and necklaces, often worn in ancient times. They are made of silver. The rounded piece of heavy silver jewellery so intricately carved is an anklet. The one below that is a hair decoration. 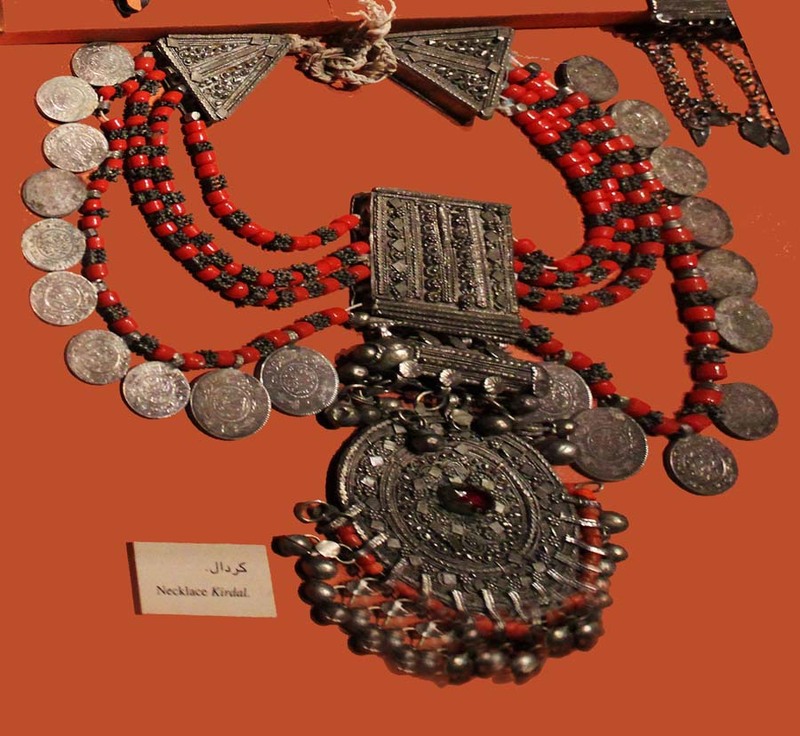 A heavy necklace made of large silver coins, and red and silver beads. More pictures: Tourists buying jewellery in Istanbul, Turkey or Costume jewellery beads and necklaces sold in Mumbai or tribal Women's earrings in Maharashtra. Or check out all the photographs on this blog about Dubai.